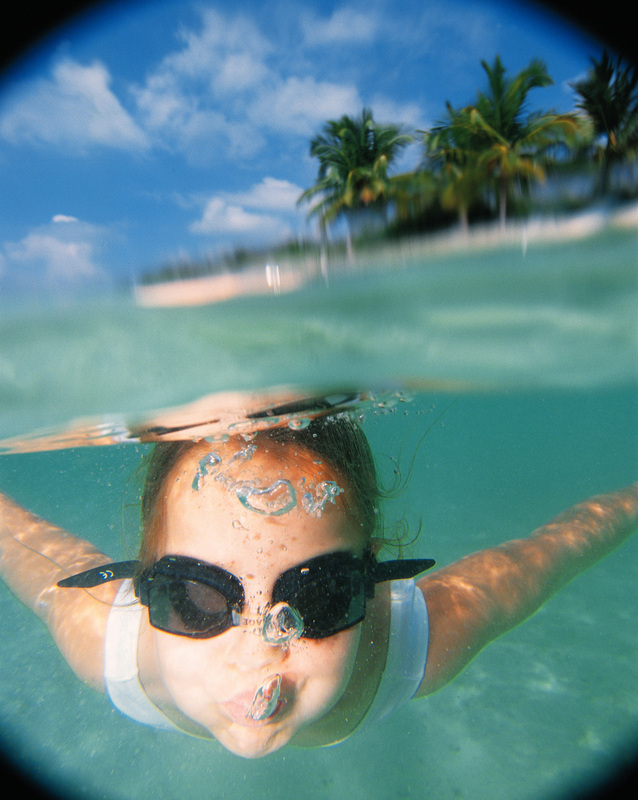 Life in Cairns was incredibly exciting after living on a coral island for 3 months. Being able to walk to a bus stop, get on a bus and travel to the next town felt like a massive injection of freedom. Leonie quickly found a job waitressing at a classy bistro down by the harbour working evenings so I had to forage the area on my own. Things were looking grim, but leaning on my ‘lemons to lemonade’ personality I devised a strategy. We bought 2 ancient sit-up-and-beg bicycles cheaply at the Sunday market. With the sugar cane ripening the milling season about to get under way I cycled three times a week to the local mills. Eventually I secured a job at Gordonvale mill, Mulgrave, and started work hooking up the empty cane bins or operating the bin tippler which upended the cane bins onto a massive conveyor. Looking like bags on a luggage carousel the cane was transported into the bowels of the mill to be crushed and processed into sugar. Of course this introduced me to sugar cane, a sort of monster grass that the region is famous for. Because of the tropical climate things grow at an awesome pace. Folk in the area must need to cut their lawns a couple of times a week. I would wander into the cane fields just to be in the midst of the cane, giant blades of swishing grass. Before modern cutting machinery the cane was cut by hand, one of the toughest jobs in the world, I spoke to people at the mill who could remember cutting cane by hand and it sounded a hideous job for little pay. The mill had to be productive, which meant constant input of raw cane, slowing of the input meant drastic change for the engineers as they toiled to accommodate the flow. I rotated jobs with a couple of blokes, one hour hooking up bins, one hour off, then one hour operating the tippler. It didn’t take a lot of skill to seamlessly infiltrate the bin into the tippler, press a button and wait as the drum rolled tipping the cane onto the conveyor belt, press another button to return the bin upright and then press another button to shunt the bin out of the tippler. At least it didn’t seem like a lot of skill to me…arrogance of youth..
Night shift was a destroyer. It always felt good to go into work in the cooler evenings, meet up with the lads, have the craic and then take over from the previous shift. Seemless. By 1 or 2 a.m. the eyes began to droop and I hated my hour on the tippler, it was stuffy and uber noisy, cracking din of splintered cane being crushed. I always wanted to sleep then, instant, deep and soul satisfying sleep, sleep beckoned like the addict’s needle. I was not a popular bunny that night. The mill did stop for a few hours whilst the bin was disentangled, and I didn’t get any bonuses on pay day! Night shift became a challenge but was immensely rewarding, it allowed me to experience tropical nights with little distraction. Outside of the building the vast night skies loomed, the Southern Sky spreadeagled to be seen in a profound and uplifting display. New stars and constellations had me thumbing through books and charts, each night I was eager to get in and identify more. As I sat at the console practising meditation I taught myself to become more tolerant and focused entirely on getting through that hour so that I could dash outside and feel the immensity of a pure night sky. A tropical night is incredibly noisy, the air vibrant with life, swarms of insects and Australia’s great array of nocturnal creatures scurrying about their business. I suppose the noise of Cane Toads will stick with me most intensely. Brought in to control the rodent problems amongst the canefields, the toads themselves proliferated to such an extent that they are now the problem, no doubt the rodents survived and thrived as well. Frank was the ‘unhooker’. As the cane bins came to the mill his job was to unhook the chains with a kind of boat hook on a pole. That was it, that was what Frank did, all night, every night. On my hour off I would frequently drift down to his station, seated on a stool as he unhooked the bins Frank would tell me tales of his life, how he was injured in a car accident and developed a distinctive limp, how he travelled from Tassie to the Tablelands to Cairns migrating with the seasonal work. Frank wasn’t highly educated but he was intuitive, a natural and his acute appreciation of the night was humbling. One night as he sat there telling me a convoluted tale of a journey from Sydney to Coober Pedy and a year he spent opal mining we both got a jolt. A massive snake was intertwined in the grill of a bin, it’s mouth protruding in strike pose. We both lurched backwards, Frank toppled off his stool, scrabbled on the floor ready to run, when we hit the door to his hut we turned and realised the snake was dead, some joker had fixed it up in the cane fields to give people a fright, it worked. I sat with Frank and enjoyed a lunar eclipse. My memory doesn’t recall the detail too well, but I remember Frank explaining everything about the event. 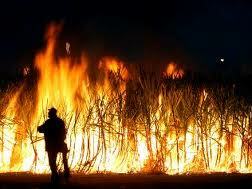 Cane burns were a regular feature of the night sky, the cane fields were torched in a controlled burn to remove much of the husk before it was cut. I once went with Frank to watch a burn, an unstoppable intensity with associated roar and flurry of escaping insects and wildlife that generated immense fear in me. Walsh’s Pyramid caught fire too. Walshs Pyramid (Bundadjarruga) (922 m) is an independent peak with a distinct pyramidal appearance, it’s the highest freestanding natural pyramid in the world. We watched the apocalyptic scene unfold for a few nights, as fires flared and smouldered along the steep flanks of the mountain, realising with trepidation that men were up there trying to stop the fires penetrate down to the properties. The thing about Frank was his ability to appreciate the space and magnificence of the world where he lived, I would often see him gazing up into the skies, arms resting on his knees with the unhooker casually cradled in his arms. I wondered often what went on in his mind as he stared into the vastness. Frank was special…Frank was killed in a car accident. I hadn’t felt such a loss before. Never had I expected to hold such powerful emotions for a man. It’s the people we meet in life who make the experience so special. Australia was a jolt to the senses. It is such a massive country, with infinite variety of plant and animal life. What’s more the animal life is seriously peculiar compared to the rest of the world, and the plants are unique. So what plants you know here in England counts for zilch in Oz it really was upside down to me. After Christmas (on the beach?) We hitch hiked down to Tasmania to organise work picking apples. The jobs were plentiful but the season hadn’t started and there was nothing doing so we hitch hiked back to Sydney. With funds quickly depleting I just had enough money to get to Cairns and take a flight to Papua New Guinea, then what? No clue. Expecting a plan to form we hitched to Brisbane and took a train to Cairns, it was a 5 day journey because the ‘wet’ had started and the train had to wait at Mackay for the flooding to subside. Eventually we arrived at Cairns and decided to spend the last of our play money on a day trip to Green Island. The heat and humidity in the tropics was unbearable, so a day on the water was welcome. Once the catamaran docked we trundled down the long pier toward the beach. At the end of the pier was a chalkboard advertising 3 jobs, Barmaid, Kitchen Porter and Receptionist. With barely a second thought we asked about the jobs and were directed to the managers office. Duane was sitting in a pair of swimmers with a tinnie in his hand, feet up on the table. The briefest of conversations followed and we had ourselves jobs! Mad but true. Green Island was like nothing I had experienced before. A true coral atoll, and only one hotel with a few permanent staff. Everyone else either visited for the day or were guests at the hotel. For 3 months I worked two shifts and in between snorkelled or walked into the jungly stuff, there was nothing else to do. I borrowed a couple of books one to identify the fish and coral. Another to identify the birdlife, and another to understand the flora. The first and easily identifiable shrub was the frangipani. With it’s creamy flowers and intoxicating scent. It was such a learning curve, nothing was within my experience and it was like being Robinson Crusoe to sit on a liana vine, strong enough to swing on, to look at cocoanuts growing freely, to have such unusual birds all around. The flora really gripped me because it was there to be touched, smelt and admired. Only one other person who worked on the island seemed at all interested in the flora. An old guy who was the caretaker/groundsman. He flicked a switch around the cabins occasionally or cut back things that were a nuisance for the guests. His crowning glory were the cocoanuts. He collected cocoanuts that were washed up on the beach and put them in mushy pea tins with the lid cut off and a couple of nail holes punched in the bottom. They sprouted quickly in the white sand and he tended them, basically this involved throwing a bit of freshwater on them each day. He had a mini forest of cocoanuts growing in tins. When they were a reasonable size he would put them at the end of the jetty and sell them to the tourists. Idyllic as this life seemed it became ultra boring. Apart from drinking at the bar there wasn’t anywhere to go and most of the staff didn’t want to go anywhere, getting hammered seemed to be the apex of their life. After 3 months we couldn’t hack it any longer and moved back to the mainland, but the hook had been set and we lapped up life in Cairns. Released prisoners comes to mind, but the money earned on the island allowed us to rent a stilted house. Without restriction on our movement we covered every part of the town gawping and babbling about every new plant or bird . We sometimes had to go to the library to discover the identity of things, or ask the Aborigine family who lived in one third of our house. We nailed them all over time and it began to feel like home. No matter where we went in Cairns the frangipanis blossomed and thrived. We had a frangipani bush by the front steps, frangipanis were on the roundabouts, in every garden and epitomised North Queensland for me. I can still smell them and feel them in my mind. Potent stuff. Normally Fritz didn’t stink like cat piss. For the last two weeks we had spent hours every day swimming and snorkelling in the Red Sea near Dahab. With no fresh water for washing, apart from salty skin, we were really clean. He was intermittently snoring and gurgling in his sleep in a strange way, as if his throat had been cut. He’ll be alright, I flicked sand off my face and snuggled deeper into my sleeping bag. 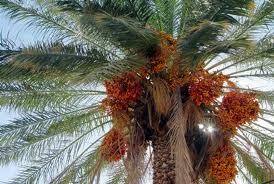 The date palm had become our home. We had set up a makeshift camp, during the day time we buried our rucksacks in the sand and wandered away down the endless beaches to a bay where an Israeli girl had built a shack. She had food and water that desert Arabs brought her and sold glasses of water to travellers who happened by. I met Fritz at Nuweba, a tiny settlement in the Sinai. 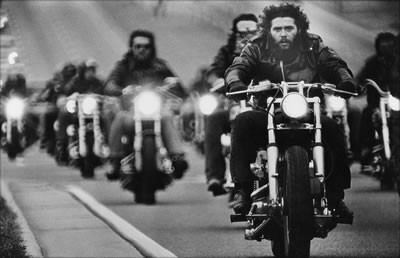 We blagged food from religious hippies who had a curious tented compound, they would feed us a meal if we joined in their Bible reading and hymn singing at night in a massive Boy Scout tent. Nuweba was a bit safe for me and Fritz, and when somebody told us about the Israeli girl near Dahab and the monastery at Santa Katarina we hitched a lift in a pick up truck and settled into life under a date palm. The desert is a truly beautiful place, of course there isn’t much vegetation as we know it here in England, but there is loads to see, sort of grasses, weeds and random scruffy bushes. We had hatched a plan to catch wild camels and take tourists (we assumed that there would be tourists in the town) on camel safaris to Santa Katarina. The few date palms around were clearly a magnet for wandering camels. The Arab owners hobbled them at night, but they could still roam enough to find food. The date palms weren’t the lovingly trimmed things we see on the esplanades around the Med, they were constantly pillaged by camels and home to roosting birds, each was like an individual oasis for the creatures there. We loved our date palm, even tried climbing up into it. Big mistake. They have evil spikes at the base of the fronds, somehow the camels got around that, but we cut ourselves to ribbons before submitting to raucus laughter from the ‘real’ camel herders. Early morning when it was quite cool we would lay in our sacs looking up into the tree watching spiders and birds, insects of all sorts wandering around happily in their private world. One day we were laying on some sand dunes watching the foam floats we had put onto some baited line to try and catch fish for the Israeli girl to cook and sell. We didn’t wear clothes, there was no point. During the daytime it was hot, nobody else wore clothes except the Arabs, so it came as a shock when we saw two girls wandering down the beach wearing bikinis. Fritz was off like a greyhound after the rabbit, Leonie and Nurit arrived in our lives and things took another bizarre twist. Nurit was stunning, an Israeli with eyes like melted amber, Fritz fell in love instantly so I was left to pal up with Leonie. She had been working in London and was staying with Nurit in Beersheva on her way back to Australia for Christmas. Leonie had travelled overland as far as possible from Australia a couple of years previous, her tales of pig toilets, drug dealers in Thailand, the temples in Burma and so on were more grist to the mill for my wanderlust. Within a few days Fritz said he was going back to Beersheva with Nurit so me and Leonie kind of tagged along. We spent a few weeks in Nurit’s flat. It was nearing time for Leonie to make her way to Athens for her flight home. She said that I should go along with her and stay with her family in Australia for Christmas. So, as you do? I agreed. In Athens I had to blag a visa at the Australian embassy, saying we were going to get married in Sydney and that was it. Thai airlines had gone on strike, so when we got the airport we had to be put up in a 5* hotel in Athens for 2 days, the flight eventually took off and we had to spend another night gratis in Bankok before arriving in Melbourne. Of course this is where the gardening and obsession with plants evolved. In Melbourne we had to exit the plane on the tarmac a long walk from the terminal. My first impression was of the humidity, heat and smell. The astringent head clearing smell of Eucalyptus, it was so overpowering that I expected Skippy to hop across the runway, and passport control to be a koala chewing a gum leaf.